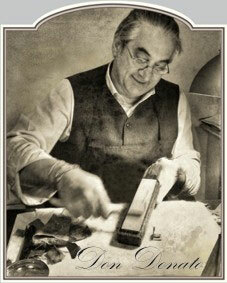 Extro Cosmesi is the creation of Italian cosmetics master Donato Ciniello. Having succeeded in producing the finest cosmetic products for over 30 years, he turned his attention to the world of traditional shaving. Operating from the beautiful Settimo Torinese in Northern Italy, Extro Cosmesi has attracted customers from countries around the world and has garnered a reputation for producing the finest quality shaving creams, aftershaves and balms that include natural products free of parabens and nasty chemicals. You can discover more about Extro Cosmesi, Donato and all the different fragrances and products we stock from them by reading this page Extro Cosmesi - An Introduction.